First engineered for SCUBA diving, the Gear Keeper is a rugged, retractable gear attachment system, designed to utilize and protect gear in severe environments with maximum break strength and durability. The Gear Keeper is at the core of an extensive product line that boasts an impressive array of benefits and features. A patented flushing system that clears sand and debris from the unit, and is salt-water proof. A patented Q/C Connector System that provides quick and easy connection/disconnection of gear. The Gear Keeper Retractable Lanyard / Tether - Sidearm Pistol Rifle features 60 lb break-strength, stainless steel nylon coated cable and a high impact housing. The Retractable Tether 3 Series features 80# break strength, Nylon/Kevlar line, and a high-impact housing. Both are available in multiple retraction forces and mounting options for any gear you need to keep handy and can&apos;t afford to lose (GPS units, Radios, Flashlights, Tools). 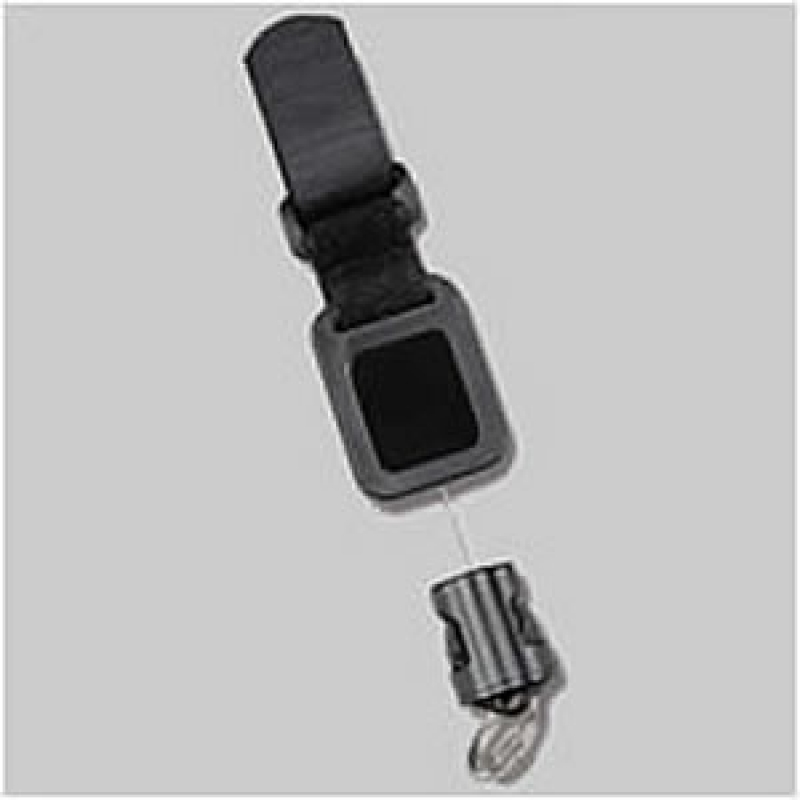 The Velcro Strap mount system has a break strength around 125-150 lbs. The Clamp on Belt clip is almost non destructable. Recommended when firearm is extended for long periods of time. Does not retract firearm but prevents loss. Does not retract weapon but provides security tether during use. Locking mechanism secures weapon when not in use. Eliminates sling-ideal for flexible weapon storage.